Forex Robots, also known as automated trading software, or algorithmic trading software. Is a type of robot and software for automated forex trading, or trading in general. A popular and rapidly growing trend in forex trading is automated forex trading, also called forex robots. A forex robot is a software that’s connected to a trading platform that can trade currencies without your direct control. Forex robots are used to automatically buy and sell currencies based on predetermined requirements and signals. With a robot, you don’t have to search for patterns and possible opportunities on the market. Instead, you can sit back and relax and just keep an eye on what’s going on every now and then. An automated trading software will help you execute your trading with rules you decide on. Letting an automated device do the work for you can be a temptation but whether it is better than real hands-on trading is based on preference. Some traders think this is the best thing to happen to forex trading since the introduction of the internet, while the rest think it is unnecessary and risky, and that it takes away from the excitement. 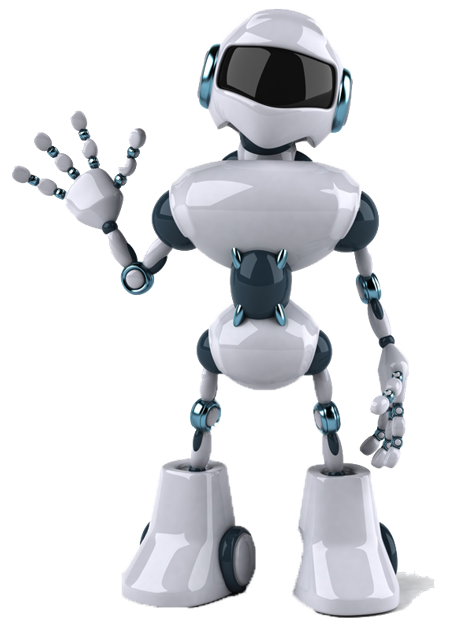 On this page, we will try to clarify what forex robots are and how they work. We will finish with giving you some recommendations on what automated forex trading systems are best to use. Forex robots eliminate the need for human interaction on the forex market. They have the ability to handle all steps of the trading with only a few parameters to follow. Forex robots also create a possibility to trade at any time, even if you’re at work or sleeping, which naturally creates many more opportunities for you to make a profit. One issue that many traders use to face was the availability of different markets. For example, if you live in the United States and want to trade on the Asian market you will have to do so in the middle of the night, which creates problems for anyone trying to live a normal life. With a forex trading robot, all you have to do is decide which market to trade on, set the signals, a price gap, and go to bed. If you’re lucky you will wake up with more money than you went to sleep with. Emotions are not in play when making decisions. You will set up an automated trading robot to execute trades based on a set of rules you decide. The trading robot does not have any emotions, no good days, or bad days. Speed, sure, you might have to invest a lot of time in setting your robot up but once it’s up and running, you are good to go. The robot is not limited like a human and can trade with the same level of quality, at a very high speed. Scalability, once you have set up the robot to trade profitable, with emotions and slow speed out of the way, you will be able to trade more and better. The difficulty is set to hard in this game. Setting up a profitable automated forex trading robot is extremely hard. We actually advise you to not go down this path unless you truly know what you are doing. Monitoring, you will need to keep an eye on your robot at all times, just to make sure you aren’t losing a lot of money. System failure has been known to cause massive losses. While most robots are quite reliable, there are still times when they mess up. Our overall take on this: Don’t use automated trading software unless you know what you are doing. It is very risky, and it rarely works. The software is fairly easy to use. Your job is to determine what market conditions you would like to trade on and then tell the software to start trading according to those conditions. You do this by telling the robot what signals and patterns to look for. In addition, you can also program the robot to start trading if something unexpected (like a huge price drop) happens to a specific exchange rate or a currency pair. Some robots can even propose signals and settings that they see fit for the market. But usually, it is up to you to analyze and study the market and the currency pairs you want to trade with beforehand. Just like with every form of trading there are always risks involved in forex trading. In some ways, the risks are even greater when trading with forex robots. The main issue is that robots obviously lack emotions and the ability to think which can lead to them making trades that a human would never do. Another problem is that robots trade when you are not there to monitor their activity which can cause extra risk. Using forex robots in combination with leverage can also create more risks and problems for traders. In the worst case, traders can end up with huge debt instead of extra money in the bank. In order for a robot to be as good as possible in making money for you, it needs to offer the right amount of settings and features. The more market signals and longer time periods you can choose between, the better the end result will be. Because of this, you need to understand that you can’t just buy a forex robot and assume that it will do all the work for you. A forex robot will not be profitable unless you have at least a basic understanding of the forex market and trading in general. There are many different currency robots to choose from on the market and different robots might fit you better than others depending on your needs and requirements. The first step is to find a robot that is compatible with the broker and platform that you use. Then you need to figure out what features you need and what features you could do without. Below is a list of the top three robots that we feel comfortable recommending to our readers and that are popular right now. There are a few hundred different robots on the market right now but not all of them maintain a high enough standard for us to recommend. The following three are the best forex robots on the market right now. The Vader Forex Robot is acknowledged as one of the absolute best forex robots on the market. The Ganon Forex Robot is perfect for all traders that enjoy trading large sums of money. The software has been developed to find big spreads and trends on the forex market. The Reaper Forex Robot is stylish and easy to use. It is recommended for beginners who’d like to learn more about automated currency trading. For real experienced users, there is the possibility to develop your own robot based on your preferences and experience. This is considered advanced trading and is not something to take on lightly. The most common way to develop robots is through the well-known platform MetaTrader4. It can be done through all brokers that use MetaTrader4 and you can read more about it on MetaTrader4’s website. Something many traders do is combine automated forex robots with social trading networks. 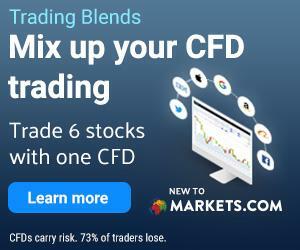 A trading network is an online community of traders where strategies and techniques are discussed, tested, and reviewed. Many of these social networks allow traders to copy each other. Which means that you can input signals and systems that work for someone else right into your robot and reap the benefits from others work. This combination is by far the best way to start your experience with automated trading systems. Trust us, you are not the first person who got the idea to hook up a forex robot, sit back, relax and make some serious cash. A forex robot is and should be a robot that you program by yourself. A robot that buys and sells currencies based on rules that you set. If someone promises you some highly advanced AI who will make you very rich very fast, then you can assume its a scam. This is why it’s very important that you learn the basics of forex trading before you set up a robot. Otherwise, you won’t know where to begin.